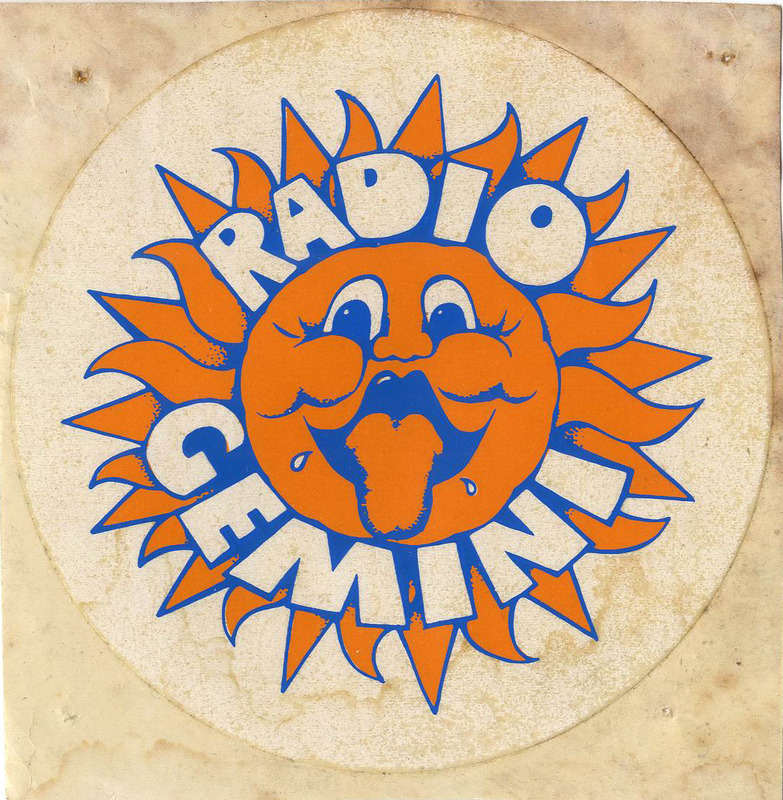 RADIO GEMINI was on the air on SW, 6230kHz variable from the 1970's through until some point when there were no more "Gem Days". The station as far as we know never closed down as such. 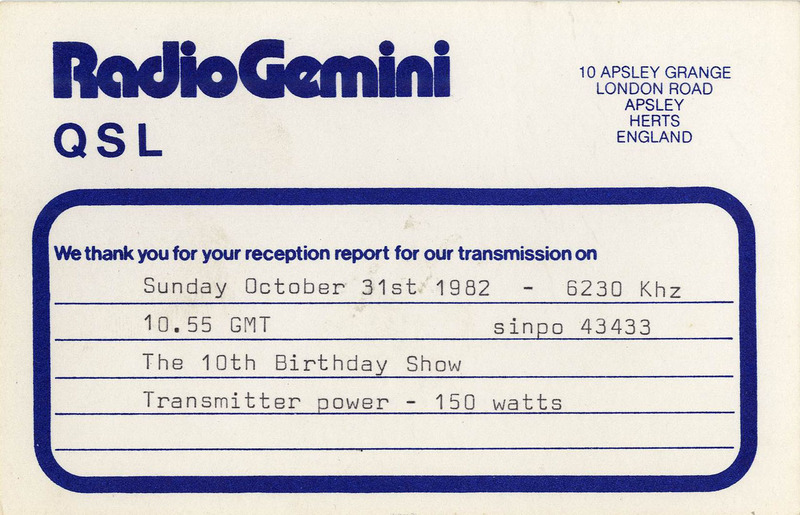 but rather never seemed to come back on air for their all too rare transmissions. 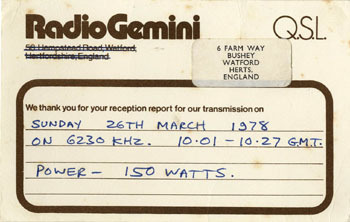 Even from listening in the 1970's, the station was not what you could call regular. But it could certainly be heard every year at some point, often around their anniversary time. 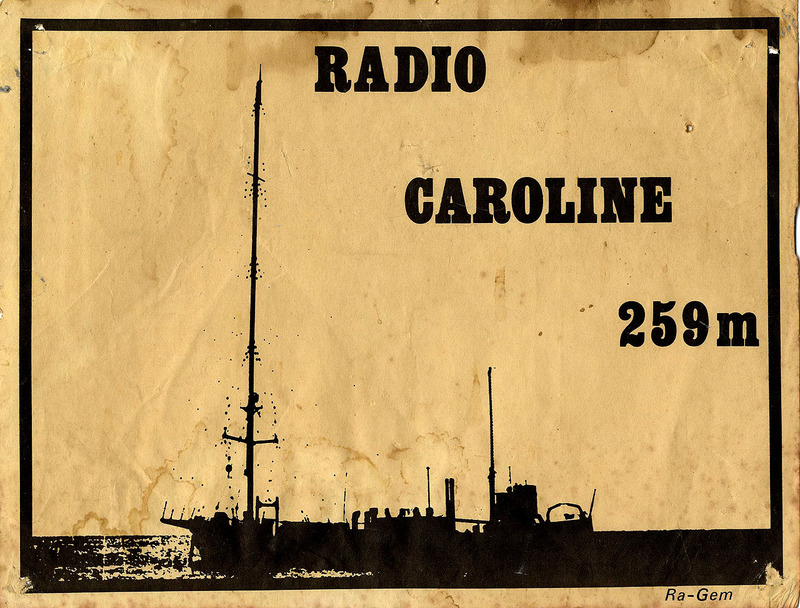 When listening, you could tell a lot of preperation and effort went into the programmes. 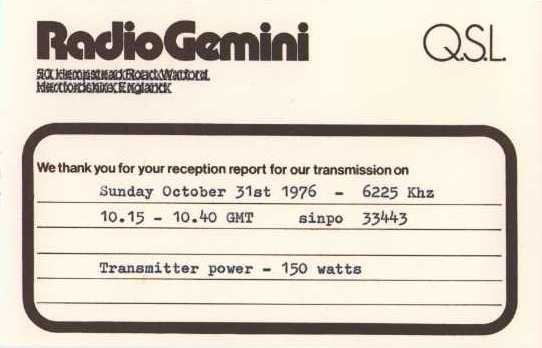 Does anyone have any notes of when the last Radio Gemini programme was aired on SW?? Laser Hot Hits was on the air in the 2000's with the "Anorak Hour" hosted by Colin Dixon, who was one of the driving forces behind Radio Gemini. 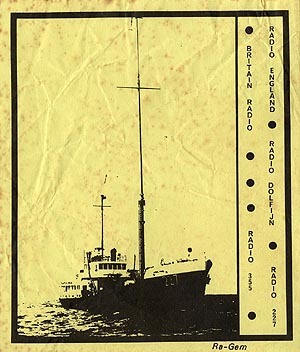 Since the sad death of Colin in early 2008, that link has been sadly terminated. 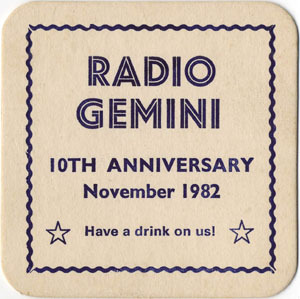 Radio Gemini had an interesting catalogue of free radio material for sale at very reasonable prices. 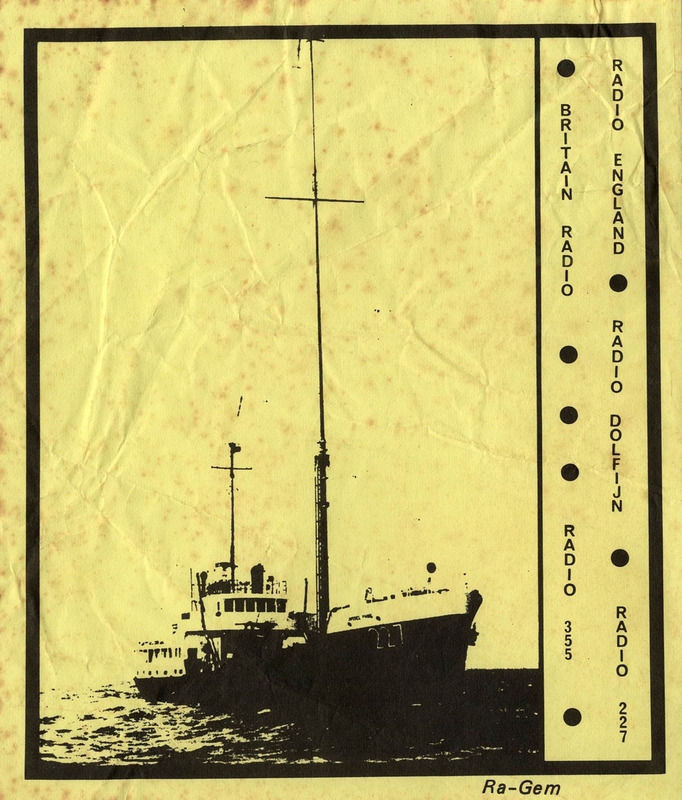 Included below are some of the GEMSHEETS, which were photocopies of newspaper cuttings, many from the early 1970's. Does anyone have the rest of the set?? Or better still, the original cuttings?? 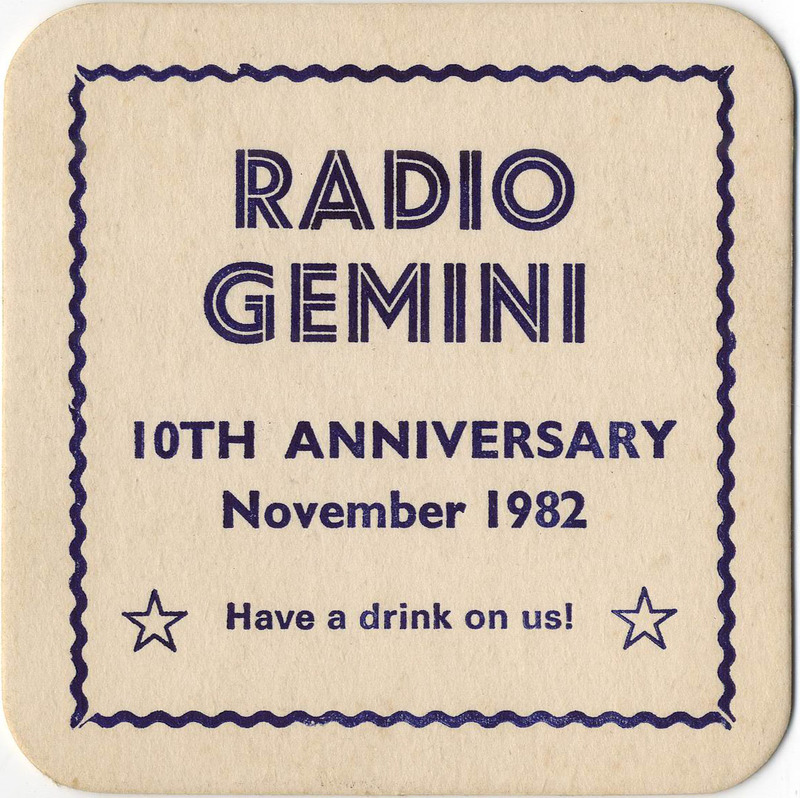 Radio Gemini stickers used in the late 1970's - 1990's?. Radio Gemini T-Shirt, never worn, as a small shirt was sent for, expecting it to be tight, but it turned out to be extremely small!! It was never exchanged, and thus in good condition. 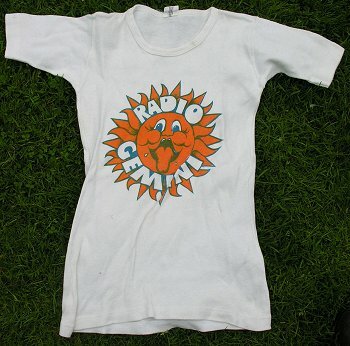 Many radio t-shirts in the collection are barely visible nowadays due to being worn out!! 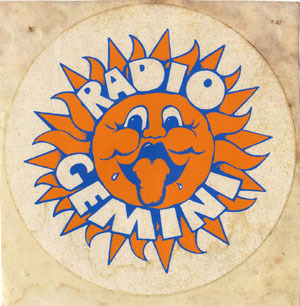 Below are only three of the Gemini mini posters that were sold in the 1970's. These have obviously been up on damp shed walls etc and are rather filthy. 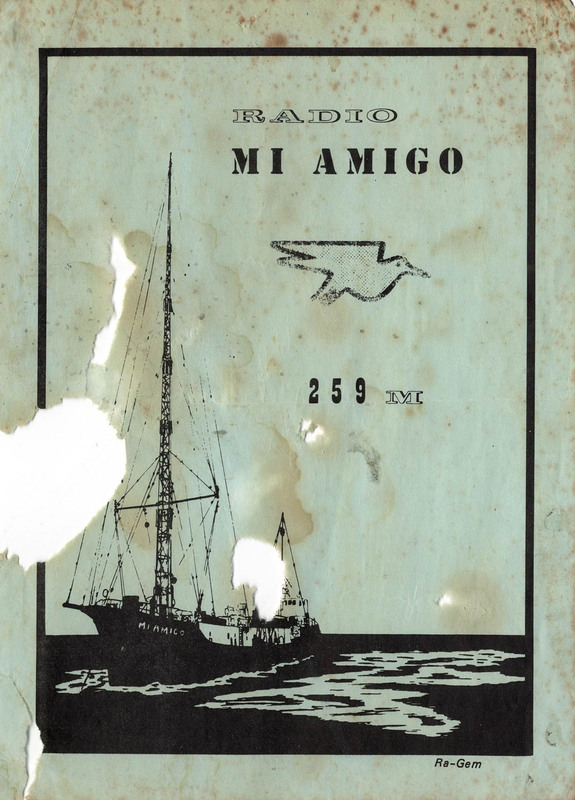 Does anyone have a set of clean posters we can scan? ?